Buddhist Youth Leadership Training is a pilot project which was started in January 2008 with the aim of empowering young Buddhists to become active leaders working for community development and peace building. It was initiated by a group of Grassroots Leadership Training (GLT) and International Network of Engaged Buddhist (INEB) alumni, who have experience of community development and youth programs. There is a three year strategic plan of training for awareness raising, leadership skills, capacity building small project initiatives. The project attempts to promote the Spirituality of the young people by introducing the concept of Socially Engaged Buddhism, upgrading the awareness on social, cultural and environmental issues and motivating them to get involved in their local community development actions by introducing the concept of Sustainable Development. The training design is totally focused on inspiring the young to have a strong commitment for society, practicing participatory decision making and strengthening the youth network in different areas and ethnic backgrounds. The first year of the project focused on awareness raising and leadership trainings. In this second year (2009), it continued the on-going training and extended capacity building by providing specific skills training, workshops, supporting the alumni?s knowledge with fellowship and exposure. The alumni have begun volunteer services in community social welfare or environmental protection activities. In 2008, there were 2 leadership trainings for young people in Mon State, Kayin State, Kayah State, Yangon, Mandalay, Southern Shan State and Northern Shan State, completed by 54 youth. Another 119 young people attended awareness raising training. 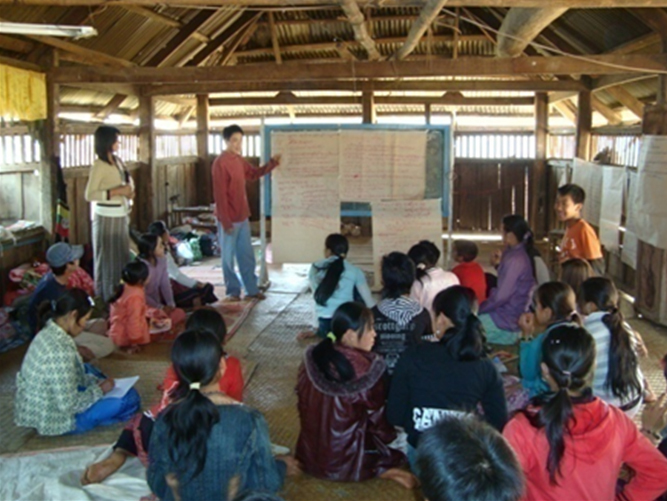 In 2009, two Buddhist Youth Meetings for Spiritual Development (BYMSD) were organized for 23 youth from Chin State and 23 from Ayeyarwaddy Division. Buddhist Youth Leadership Training (BYLT) was conducted for the third time and 25 participants from 9 regions attended. Alumni are from 13 ethnic groups; Kayin, Mon, Kayah, Yin Baw, Yintaleh, Shan, Inn, Danu, Pa-Oh, Pa Laung, Kayan, Burmese and Chin. To build the capacity of alumni, a ToT (Facilitation Skill Training) was conducted for 23 alumni from six areas. A Participatory Rural Appraisal Training was organized in both Kayah State and Kayin State for alumni in Loikaw, Dee More Soe, Southern Shan State, Mon State, Kayin State and Yangon. A total of 41 participants attended Participatory Rural Appraisal (PRA) and a number of them are conducting PRA in their local area for rural development projects. BYP, with occasional assistance from partner organisations has provided support for alumni and core group members to travel to trainings, seminars and workshops in Myanmar and in neighbouring countries. 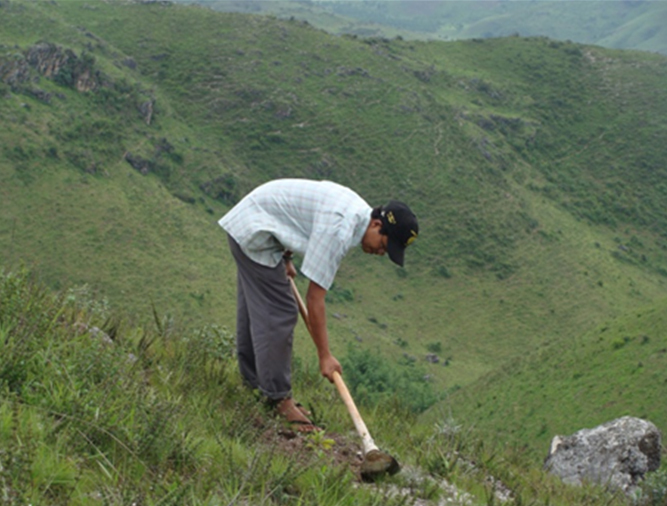 4 alumni were supported for mushroom cultivation training and are now growing them and teaching others to do so. One alumnus was supported for a Gender ToT and a Gender Analysis workshop and has become a good facilitator. 5 Buddhist youth attended the ?National Students and Youth Gathering? held by Student Christian Movement (SCM) in Yangon as part of the interfaith network. One alumnus from Chin State was supported to attend the Micro Credit Union (MCU) training conducted by the Lokattha Cariya Foundation (LCF) and he is now organizing the people in his area to set up a self reliant savings group. One Yangon alumnus had been supported for joint internship between Alin Ein?s Green Movement and BYEP in 2008. Now he has become a permanent staff member there and a good facilitator for our trainings and those of other organizations. In the second year, BYP extended the internship program to 3 others. BYP supported a total of 7 Core Group Members and staff for various meetings and seminars, and has encouraged like-minded youths to form small civil society groups. Ten of these groups are active at this time. BYP alumni report regularly on activities in their area, ensuring adequate follow up and updates of all activities. Three of the Core Groups have matured to the extent that they organized their own annual meetings, to which BYP staff were invited. the 1st Alumni Annual Assembly (AAA) was held at Mudon, Mon State in March 2009 attended by alumni from Mon, Kayin, Kayah, Southern Shan, Chin and Yangon. The 2nd AAA was successfully organized as a big forum at the end of 2009 with 63 alumni from nine areas and 7 core group facilitators attending. BYP believes that the program has succeeded significantly in terms of the attitude changes of those young people who have become more interested in social work. They commit themselves as ?Socially Engaged Buddhists? and are willing to get involved in community service activities. The program is not intentionally producing staff for NGOs but is empowering young people to become good leaders who contribute to community development and environmental affairs. The relationship with the government sector has been improving as some training and activities were organized in Kayah State with official approval by the Departments of Religious Affairs and Social Welfare. Some youth groups have been recognized by their local government. BYP is pleased to have had a successful year on many fronts and is grateful to donors for support.